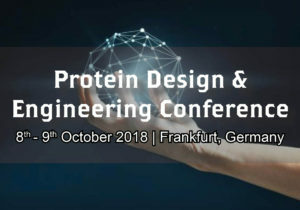 MarketsandMarkets is pleased to announce the Protein Design & Engineering Conference to be held in Frankfurt, Germany on 8th & 9th October, 2018. We invite to join us to experience the live case studies and discussions from the experts of industry and institutes across the globe. MabDesign members benefit of 25% reduction during registration. Ask for the code!